This entry was posted on October 8, 2010 by iheartfilm. 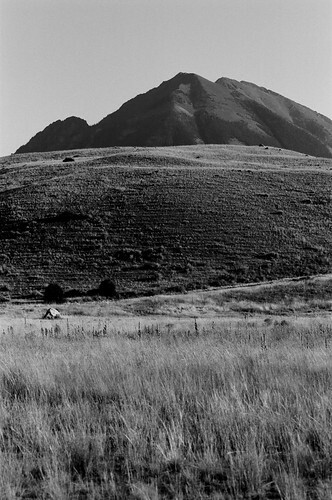 It was filed under Black and White, Ilford Delta 100, Landscape and was tagged with bitterroot mountains, Black and White, film, Ilford Delta 100, Landscape, montana, nikon f100, noritsu koki, paradise valley, photography. Very, very great composition here! Love the different layers in this. Really nice use of the Delta 100. Your blog has proved that the old black and white film potential to add a depth and something magic that digital monochrome photos lack. Wonderful photos and I really like your blog. i just realized that you shoot vertically a lot. do you prefer to shoot that way? The texture and line in this are amazing.